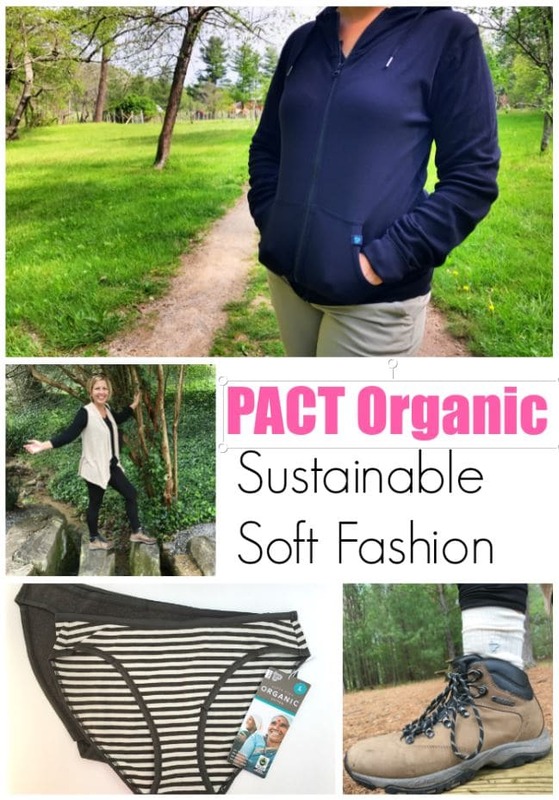 PACT Organic clothing is such a fun find for me! I love sustainable fashion. Making the switch to ethical fashion that doesn’t harm the environment or the people making the clothes, though, feels like it has been harder than it should be. 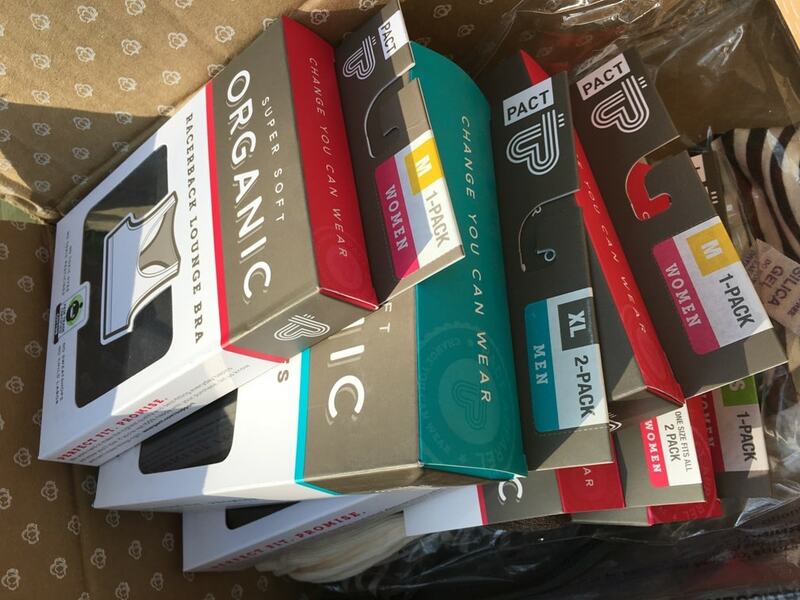 That’s why it’s so great to have been given a chance to review a box full of sustainable clothing from PACT Organic. These super soft basics are like a warm embrace on your skin. Sounds silly, but it’s true. Clothes that are so soft and sustainable are hard to find. Until now. 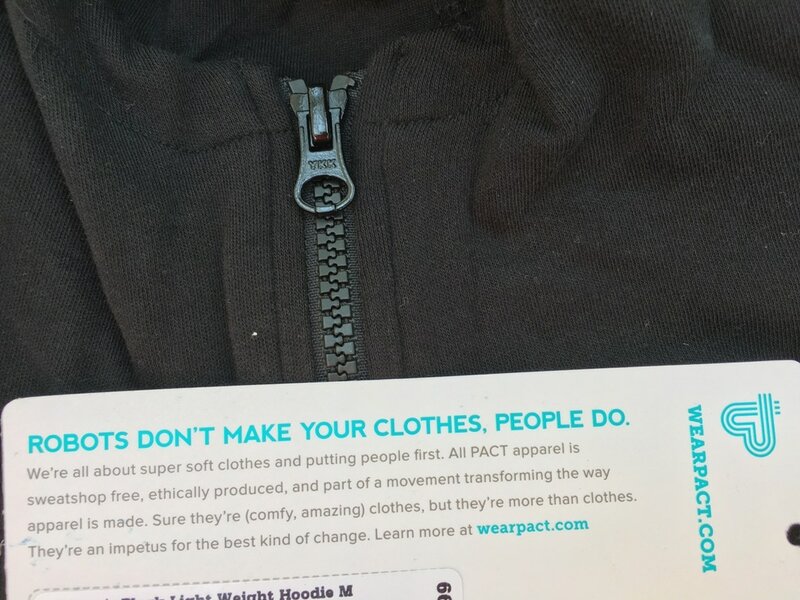 Here’s why PACT Organic clothing is a sustainable choice for fashion. First, they use organic farming practices which help protect the environment, not harm it. (That’s because it uses a whopping 71% less water and 62% less energy than conventional cotton.) 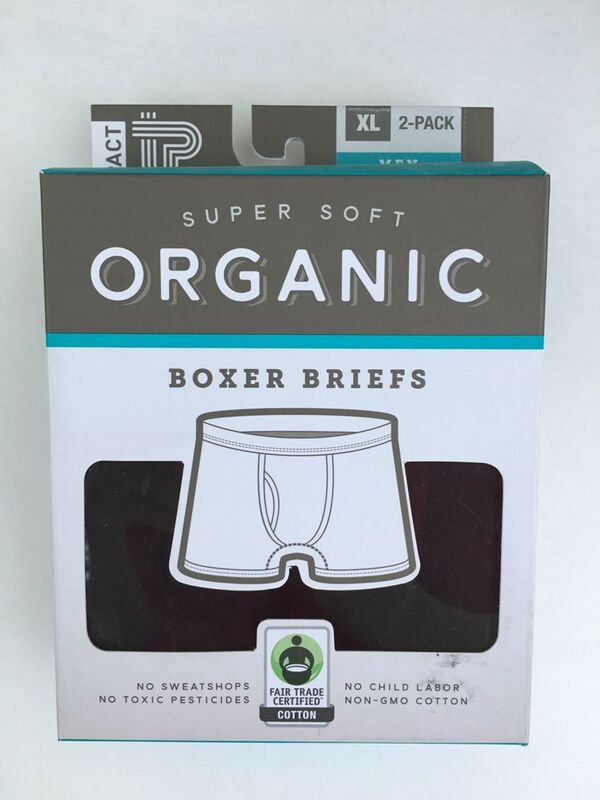 They’ve got the certifications that I look for, too, including Global Organic Textile Standard (GOTS) certified and Organic Content Standard (OCS) certified. If you’re not familiar with those certifications, they are big ones, and well trusted. In the past, I’ve seen sustainable clothing that felt like a burlap bag. And looked like one, too. Not with PACT Organic. 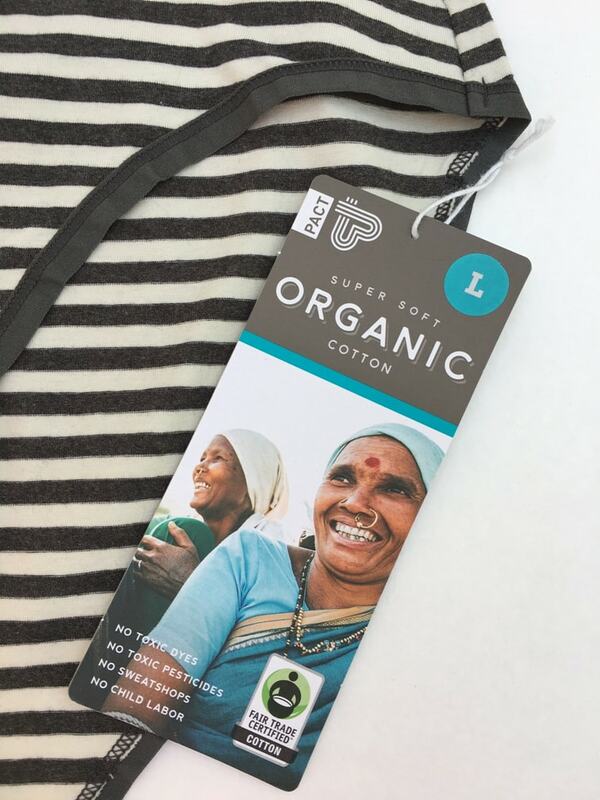 The softness of the cotton used in PACT’s sustainable clothing is supremely soft. That, truly, is the selling point of this clothing line to me. The fashion basics are so comfy and so soft that you’ll WANT to wear them. 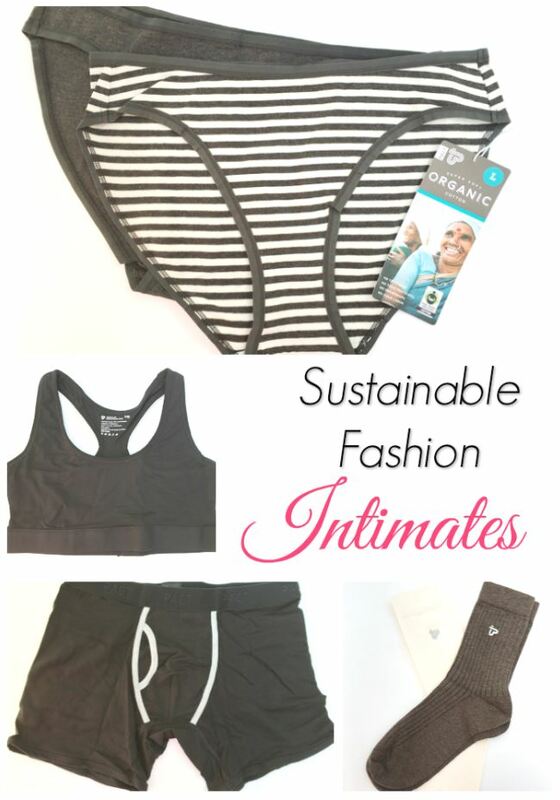 When you’re talking about basic essentials and intimate clothing, that is really important. 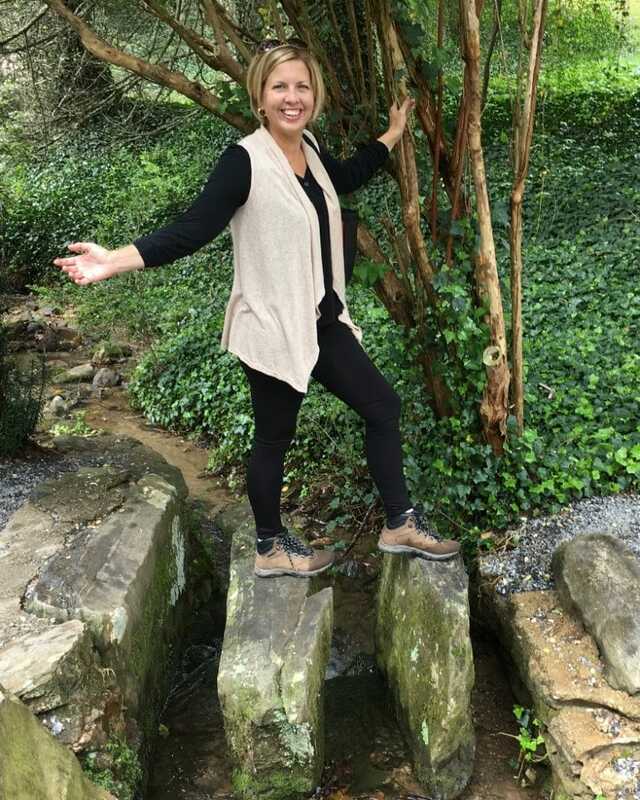 Plus, there is just enough stretch in PACT Organic clothing that it fits to your body and conforms to your comfort. A lot of these clothing pieces are intimates, which means that I’m not showing you the products on. Trust me when I say the products are super soft and comfortable. 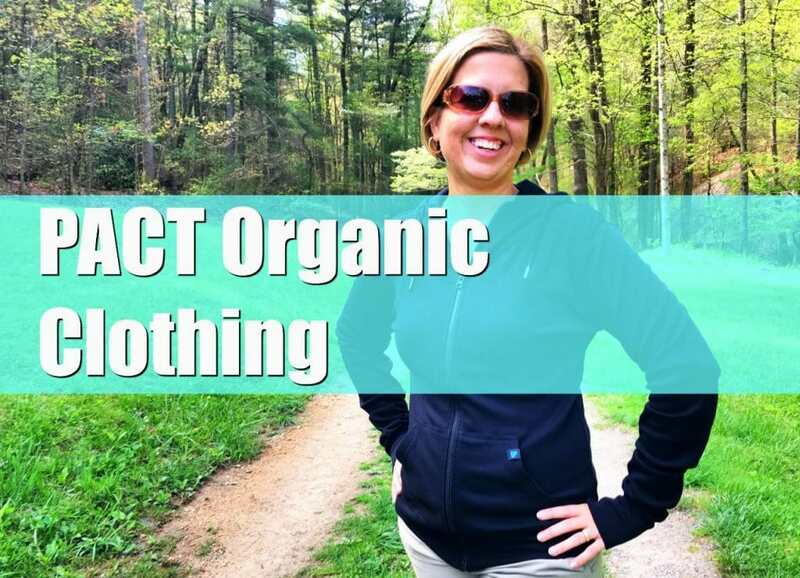 Other PACT Organic clothing pieces that I received are fashion basics that you’ll want to make a part of your visible wardrobe. 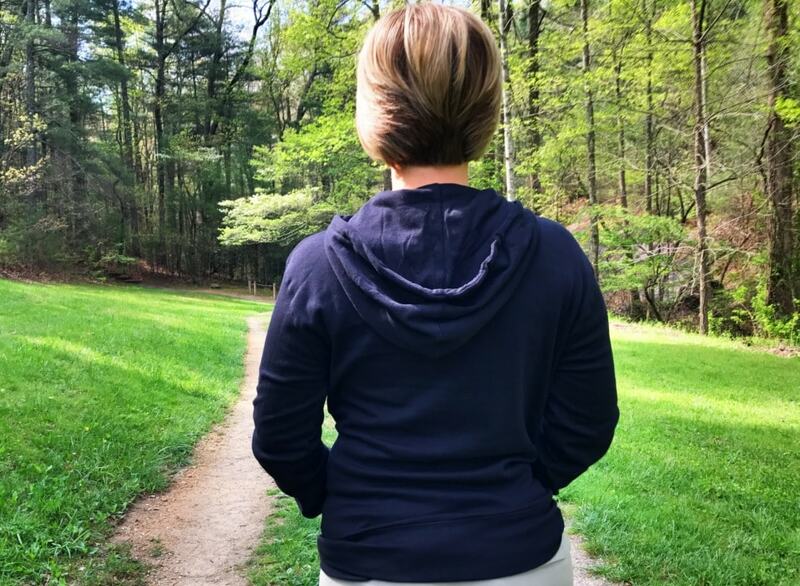 The light weight hoodie, for example, was so soft and comfy that it quickly become a staple in my wardrobe. 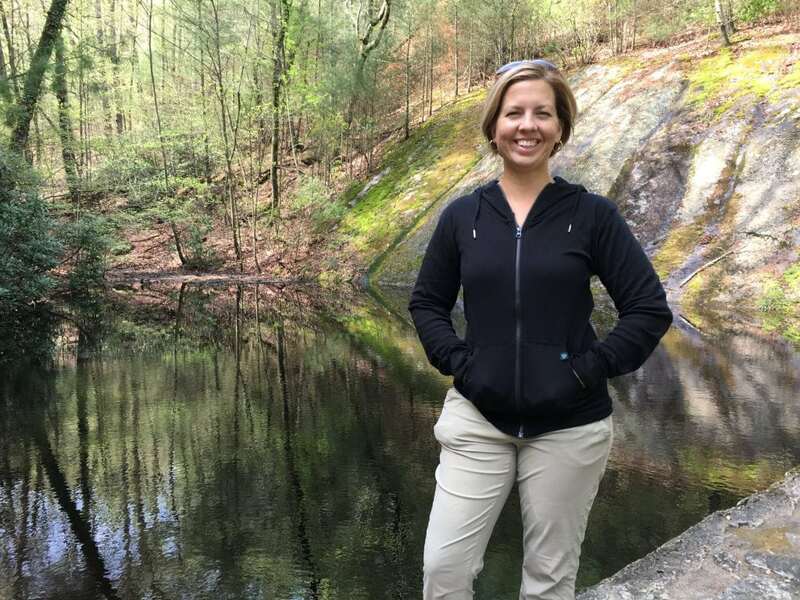 I loved wearing it on a hike and found that it kept me warm, but not too hot. It’s the perfect clothing for working out or just going out to run errands. The long leggings were a surprise for me. I haven’t worn leggings probably EVER. 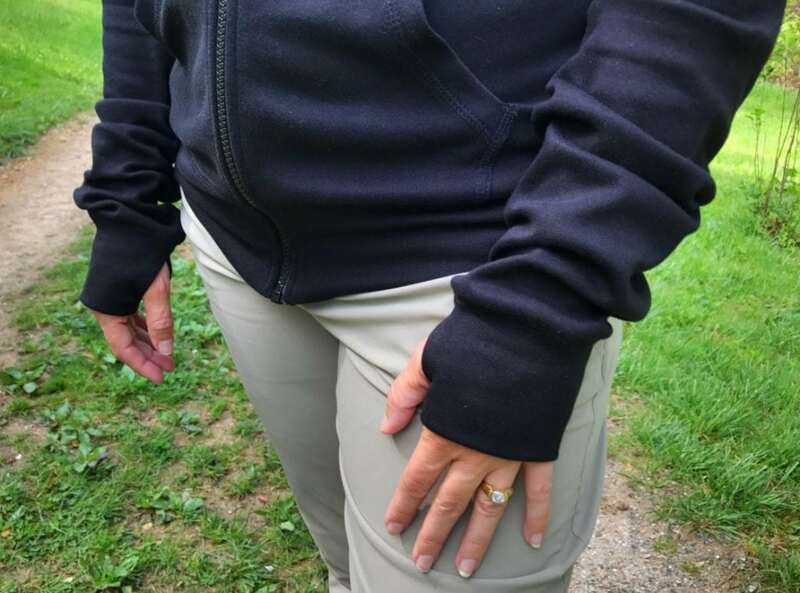 So I was really happy when I tried the PACT Organic leggings and found that they were supportive yet stretchy, and so soft. I really liked the weight of the fabric – not see through, which was so important for me. Surprisingly, they are a new favorite in my wardrobe. I loved the give that they offered – to the point where you kind of forgot you were wearing the leggings. Finally, the socks were super soft and light weight. The women’s size promises one size fits all. I’m a size 6 1/2 to 7 and found the socks to be a bit large on me. Hoping that some hot water shrinks them up to fit perfectly. 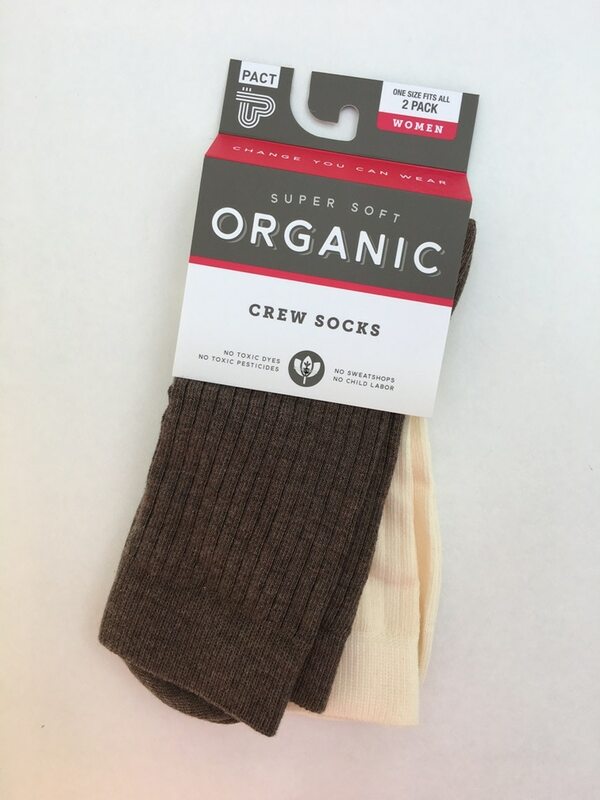 Another perk that I like about PACT Organic is FREE SOCKS with some purchases. Seriously! 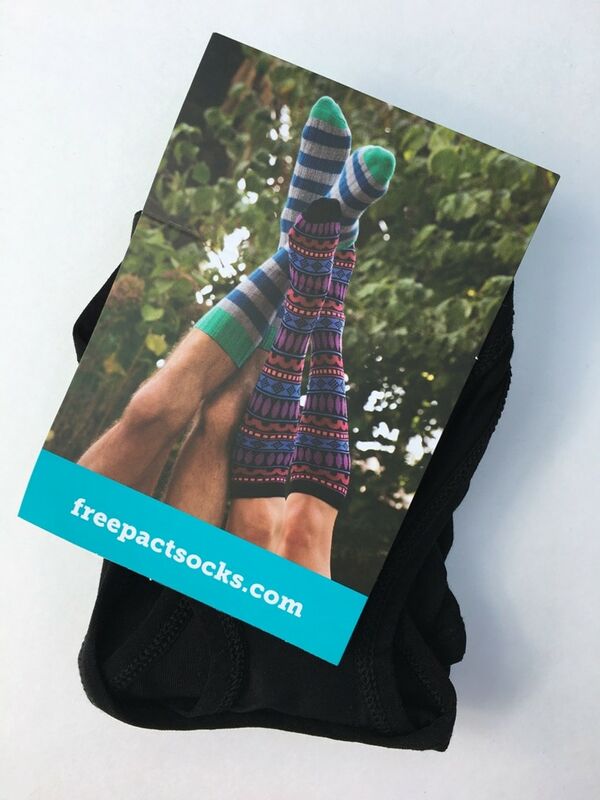 I found that some products that I opened, such as the underwear, had a postcard inside for free socks. 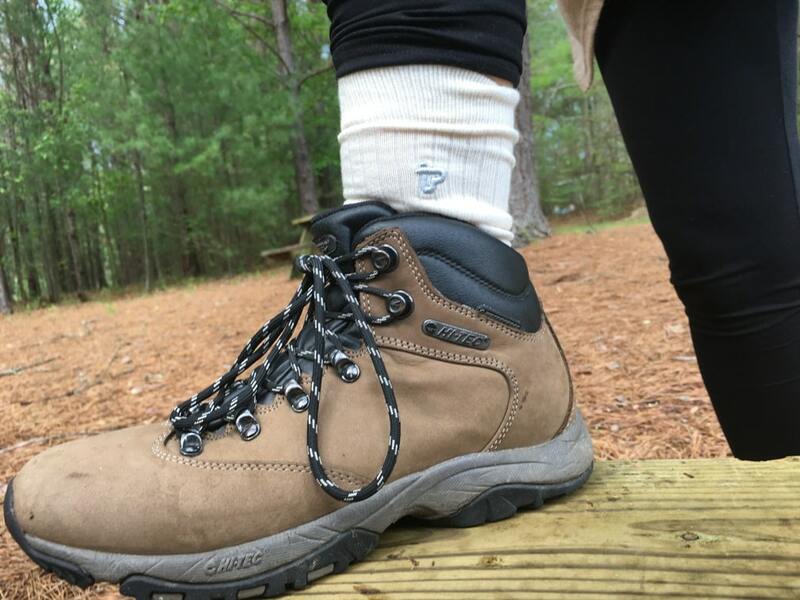 All you need to do is send in proof of purchase and you’ll get free socks in the mail. It’s like a two-for-one offer. Get a discount NOW! Use my referral link and you’ll get 25% off your purchase until August 31, 2017. 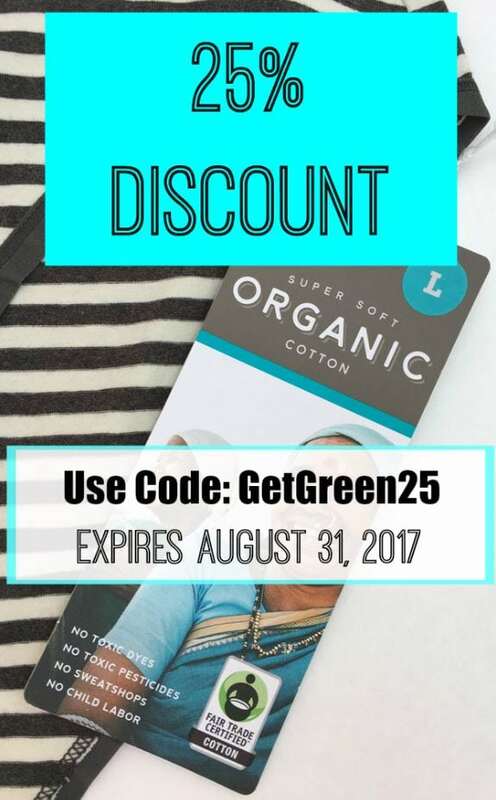 Or, use code GetGreen25. Either way, you’re saving lots of money on organic fashion! 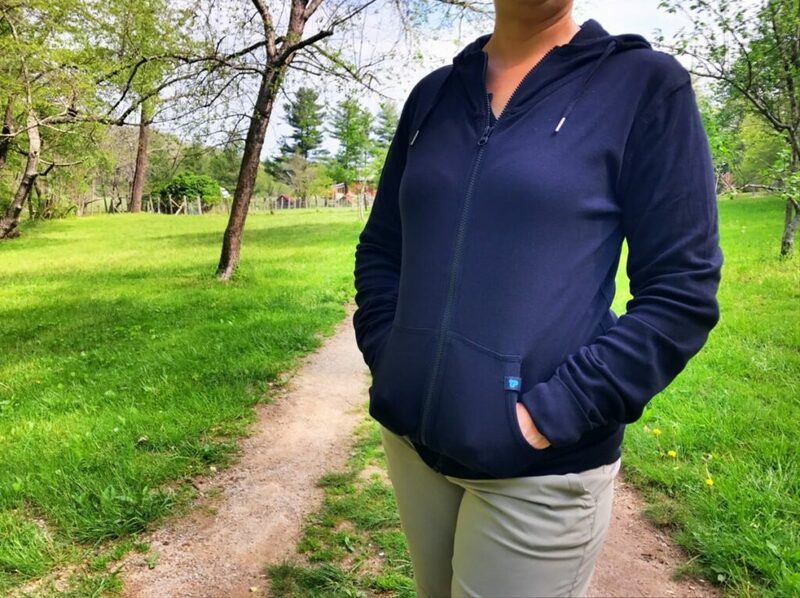 I love any clothing that is supersoft, and if its sustainable even better!